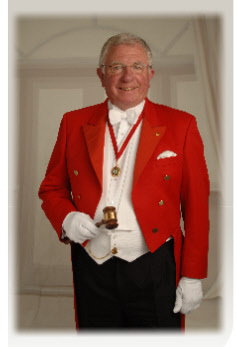 The Toastmaster is the quintessential British element to formal functions, without whom such functions can degenerate into unsuccessful, forgettable events. Every one of these functions has rules of protocol and the time honoured procedures and etiquette associated with it. The responsibility of employing them falls on the shoulders of the trained Professional Toastmaster - Director of Ceremonies. 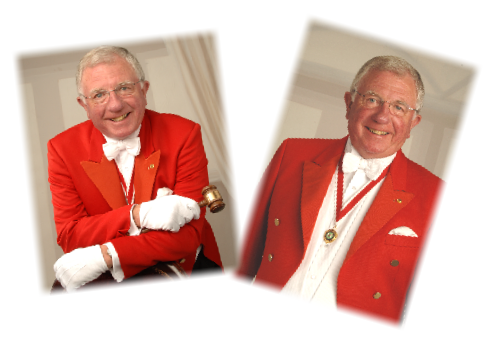 Ray Weedon is a professional Toastmaster and a full member of the Institute of Toastmasters of Great Britain. And has performed his duties across the South coast, UK and Europe.